After what has been a long and slow winter for Down Under Sail, the season is open at last! Throughout the last few weeks clubs all around Australia have been opening their seasons and it has been a great opportunity to celebrate everything good about our sport and the lifestyle behind being on the water. The best thing about our sport is the diversity, you have one end of the spectrum with the 18s at Double Bay where there was launching of new boats and a strong media presence, large keelboat clubs and the formalities and history behind them, and then right down to the heart and soul of the sport at amateur and country sailing clubs that get the barbecues cranking, the beers flowing and some fun out on the water. Claire Kowaltzke christened the brand new ILVE 18ft skiff moments before the opening race of the season at Double Bay. Open days usually give a great indication of where a club is at and what can be expected of the season. Of course at times weather doesn’t play the game, people are struggling with the busy schedules or maybe get a bit too ambitious with winter maintenance and don’t quite make it. Some clubs formats for opening day, can be the sail past (a celebration of the fleet), a formal welcoming by club officials, a series of short races (sprint series), or just a first shakedown race with a barbecue running all day. I personally see opening days as the most important day of a club’s season. It sets the tone and standard and really helps get members and the general public alike excited for the season ahead. Now for clubs who have put in a mountain of work over a winter, it could be about showing off the new direction or getting the message out to the members as to what is in store for the summer ahead. Scenes from the Merimbula Ocean Classic could be repeated at clubs around Australia on opening day. There is so much potential for an opening day to engage the community outside of sailing, so here are my thoughts on what clubs can do to capitalise on the growing attention. Why not invite the local stand-up paddle boarding (SUP) club down? 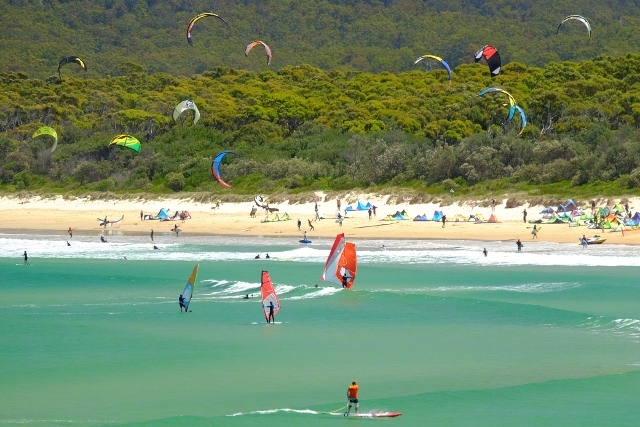 Why not get the local kiters or windsurfers to join in? You never know how these sort of relationships may develop and with sailing clubs commanding the best real estate on coastlines all around Australia, they are in the box seat to offer an incredible facility to these groups. Things like associate memberships can be pushed, translating into more traffic through the club. Then cross-sport discounts for entry level, learn to sail, SUP, Windsurf or Kite programs. The potential growth is endless and what an amazing spectacle it could create for your opening day. 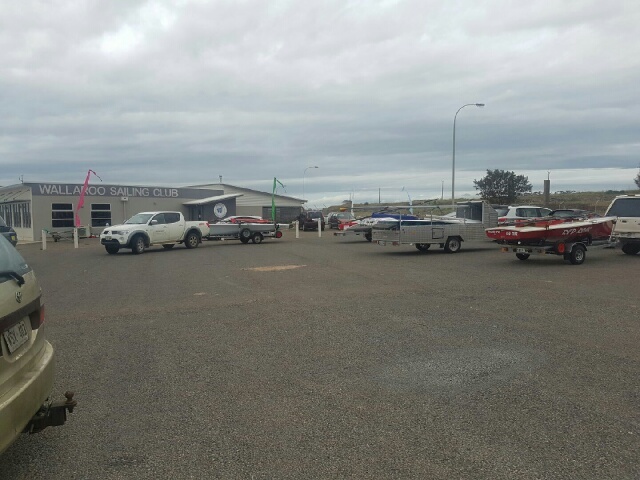 Scenes from the opening day of the Wallaroo Sailing Club, one of the proud country clubs on South Australia’s Yorke Peninsula. A lot of sailing clubs are used on Saturday or Sunday afternoons for about 26 weeks of the year during the season. Why not get more people using the facility on the other days? A lot of SUP clubs or Windsurf clubs operate out of a trailer or a public toilet block. By embracing everyone, clubs can be pushed further and further and then some myths of these various sports, such as sailing being too expensive or windsurfing/kiting being too hard, may be eradicated. At the end of the day we all love the water and the lifestyle it brings, so getting like-minded individuals together at the one facility can be of serious benefit to any organisation. If you’re a club who doesn’t run an opening day or are looking at ways to refresh, seriously have a think about the above options, as you will be surprised how easy it is once a conversation is opened.